Since I was 17-years old I have had a phobia about losing a finger or more. This began when I moved to a rural area and noticed an alarming number of missing digits, lost mostly to agricultural machinery. About that time I also read a short story in which someone had used his finger to clear some mud from a trailer hitch only for the clutch to slip and the tractor to jerk forward. Two tons of machinery will remove a two ounce finger in a trice. To this day I have never knowingly stuck my fingers into any situation where they would be compromised. Why would you when plenty of tools exist to perform their function. But they are such wonderful tools in themselves that it is so tempting to use them in all manner of ways. Always there in front us ready at a moments notice to do our bidding, as familiar to us as . . . the back of our hands! For we are Homo-Habilis: man the toolmaker. Yet we need tools ourselves with which to begin the process. And what tools we have. The combination of opposing thumb and four digits makes for a perfect grasping device: from fish bone needles to laser eye surgery, swinging a stone axe to wielding a chainsaw. What a superb piece of biomechanical engineering we have at the end of each of our arms. Capable of the gentlest of caresses or a jaw shattering blow. Artistic hands, musical hands, communicating hands, healing hands there is almost no limit to their application. To quote John Ruskin “That hand is the most perfect agent of material power existing in the universe”. Thus Leprosy is one of nature’s cruellest assailants because it deprives a person of one of their greatest assets – it also attacks the feet making our innate nomadic urge to walk a struggle. To this day Leprosy is still a feared and much misunderstood disease: this driven by ignorance, superstition and religious beliefs. It is not hereditary. It is not a curse from god. It is not a result of past sins. It is not dependent on caste or class. And most importantly it is 100% curable today with a multi-drug treatment (however if left too late damage already caused cannot be reversed and due to nerve damage and the resulting loss of feeling many suffer injuries to affected areas). Historically people have always feared the leper in their midst and banished them to remote colonies to eke out an existence. Unfortunately that fear and ignorance of the condition persists in many parts of the world, especially in India where the disease is particularly prevalent. Leprosy flourishes in places where poverty and malnutrition reign. A body whose immune system has been weakened make for the perfect, ghastly invitation to reside. And indeed it can lay dormant for many years before it begins to manifest itself. And so here I am still with a fully intact pair of hands. They might not move across the fret board of my guitar as they once did but I still have them and they still move. So when I am at work at the Old People’s Home here at Anandwan I put them to good use massaging the old men of the community. And whenever I am holding a deformed hand in one of mine to rub some oil into a cracked palm or articulate some twisted fingers I am truly grateful for these wonderful pieces of evolutionary design that have served me so well and for so long. Grateful in a far more profound and mindful way than I have ever been before. 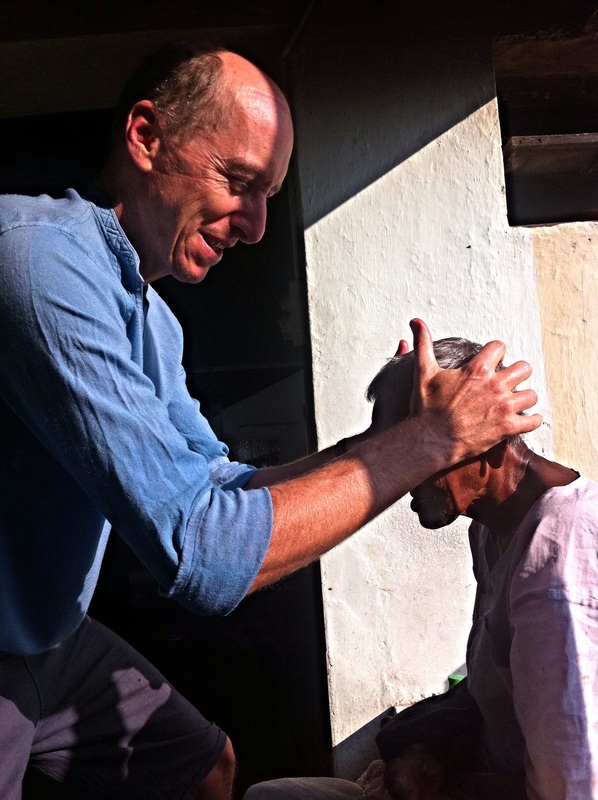 This entry was posted in India, Life, travel and tagged anandwan, change, compassion, giving, India, leprosy, life change, retreat, travel, volunteering by Ashby's World. Bookmark the permalink.